Wan Saiful also lauded the reports result which he said will allow parliamentarians, decision makers and civil society stakeholders to get answers on their concerns and make informed decisions. KUALA LUMPUR: The cost benefit analysis result on Malaysia’s participation in the Trans-Pacific Partnership (TPP) conducted by the Institute of Strategic and International Studies (ISIS) and PriceWaterhouseCoopers (PWC) prove that that liberalisation is good for the rakyat. This is the opinion of IDEAS Chief Executive Officer Wan Saiful Wan Jan, who said this result only reiterated what the organisation believed all along. Wan Saiful also lauded the reports’ result which he said will allow parliamentarians, decision makers and civil society stakeholders to get answers on their concerns and make informed decisions. “Making an informed decision about Malaysia’s participation in the TPP requires a systematic and rational approach utilising the best possible evidence and analyses. "I am glad that both reports did not play down the many concerns raised by various parties about the TPP. The fact that the two studies concluded that Malaysia would, overall, benefit from joining the TPP validate what we have been saying all along that liberalisation is good for the rakyat,” he said in a statement today. However, he said that the government has been doing a lousy job in explaining TPP despite having five years of negotiating it and it needs to get its act together to do so. He also said that it is unacceptable that the burden is on the Ministry of International Trade and Industry (MITI) alone, while other ministries behave as if they are not connected to the process. He urged all the ministries to speak up on the matter as a government. 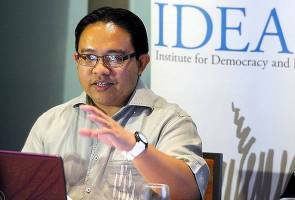 Wan Saiful said at the same time, he is worried about those who oppose TPP as they have been influenced by anti-liberalisation activists. “These activists will oppose the TPP even when studies say it is good. They have been opposing it for years, before reading the actual text of the agreement or digesting the conclusions from the two studies. Even now, they will continue to oppose it regardless of these recent developments,” he said. He also urged everyone to read the reports and decide based on the facts. “We must ignore made-up accusations thrown by those who are driven by ideology rather than facts." "On the other hand, the two cost benefit analyses documented that Malaysia has obtained various exemptions and carve outs from the TPP, such as in the areas of Bumiputera policies and GLCs. I understand the short term political needs for these exemptions. But from the perspective of the longer term welfare of the rakyat, these exemptions will blunt the full benefits of the TPP. It would mean that Malaysia will not gain the maximum benefit from this round of liberalisation,” he added. After so long out of the spotlight, is it IORA's time to shine?